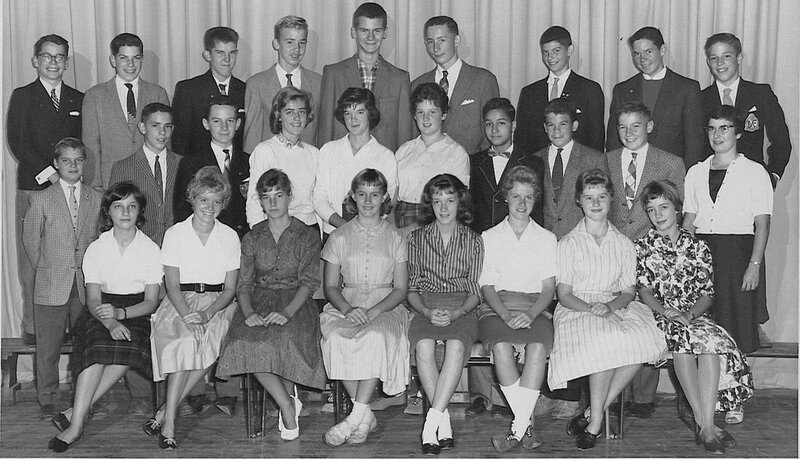 Here's a rare photo of Neil Young in Grade 9 (1959-60) at Lawrence Park Collegiate in Toronto, Canada via Sharry Wilson ‏| Twitter. As everyone knows, Sharry Wilson is the author of "Young Neil: The Sugar Mountain Years", the definitive account of Neil's early years growing up in Canada. Also, see Young Neil: The Sugar Mountain Years - Review by Broken Arrow Editor Scott Sandie and Interview: "You can't conceive of the pleasure in my smile" - Neil Young's early years explored by Canadian author Sharry Wilson . Thanks Sharry for keepin' jive alive up in T.O.!!! I see the beginnings of sartorial splendor but where's the tie? That's what I noticed immediately. It's possible he had a tie on beneath the sweater, but I don't think so. Our hero was an early non-conformist!